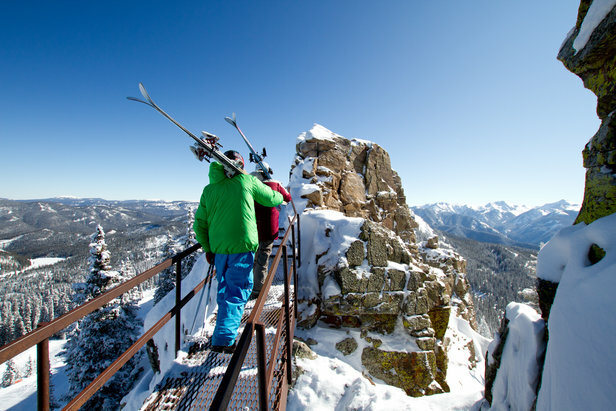 Much of the expert skiing is accessed via a short hike to Knife Ridge. You get a great view of the South San Juan Mountain's here as well. Whether you’re a self-prescribed gearhead who treats skis like an honored member of the family or a grab-gear-and-go kind of skier, you may be asking yourself: should I buy skis now or hold out for next season? While you’re floating through powder, arcing up the corduroy or exploring the backcountry on your current pair of skis and boots, ski companies are offering industry pros a sneak peek at the latest and greatest gear to be available in shops next year—typically around Labor Day, about the same time as the launch of OnTheSnow Ski Buyers' Guide. A sneak peek is like watching the teaser for the next episode of your favorite show—you’ll have to wait a while to enjoy it, but gearheads and casual skiers alike can look forward to innovations in ski shape, construction methods and the use of lightweight space age materials to increase comfort and performance. Another thing to look forward to: The turns you’re making now on your setup might get even better next year on the skis and boots of the future. A preview of 2018/2019 models from multiple manufacturers shows that performance frontside skis are becoming the new norm. 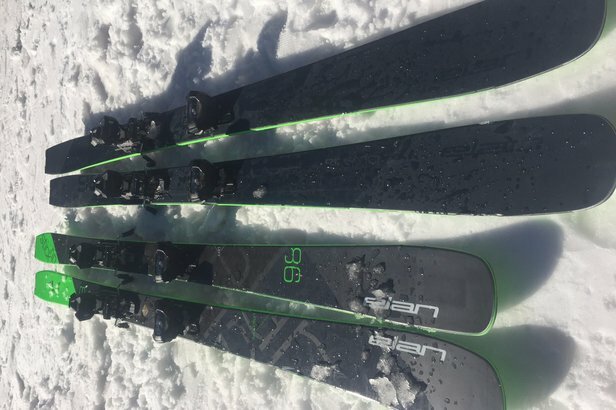 Ever popular in Europe, skis with a narrow waist (sub 80 mm underfoot) are piquing the interest of North American skiers who encounter the reality of snowmaking and high-pressure systems. “We’re seeing folks who want a narrow ski alternative,” says Sam Beck, director of communications for Nordica. “They may have a midfat ski and a powder ski, but people need a narrow ski for the dry cycle.” As consumers move away from the previous trend of searching for a one-ski quiver, manufacturers offer more carve-happy options—including some models that own the short radius turn to more versatile hybrid race/all mountain models. 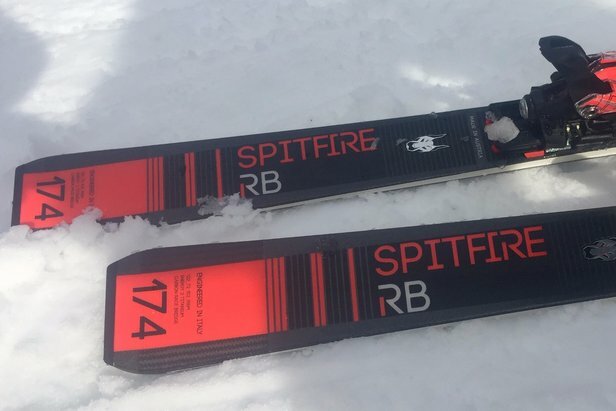 Nordica Spitfire introduced to U.S.
Over the past several seasons, manufacturers followed a trend of removing material to reduce weight and lighten up the ski or boot. The trend now, however, is to build gear light in the first place, instead of removing material from existing models. “People are still implementing lightweight strategies,” says Jake Strassburger, brand manager for Atomic. 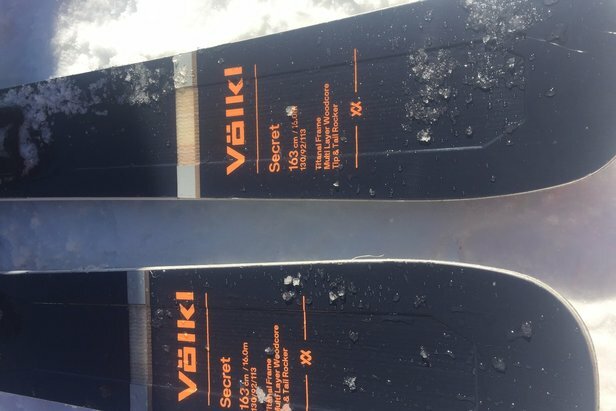 “For backcountry, there’s a mission to go lighter, but for all-mountain skis, it’s about fine tuning where you place that material.” The use of carbon has increased, thanks to its high strength-to-weight ratio, and manufacturers continue to tinker with strategic placement of carbon in the ski’s construction. 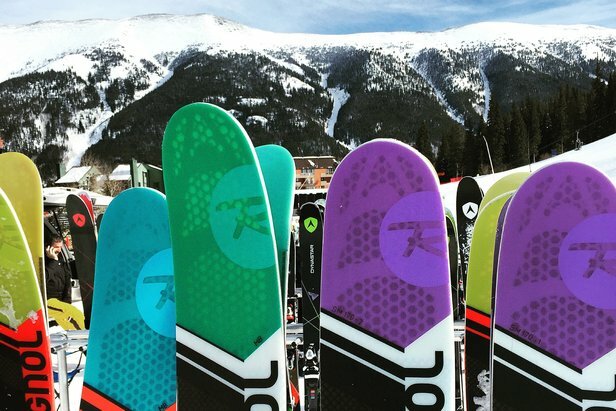 • Rossignol features Carbon Alloy Matrix in skis, including the updated 7 series—employing a high-quality carbon fiber for elasticity and dampness. • An update to K2’s iKonic 84 Ti extends carbon into the ski’s tip. On the boot side, K2 debuts three new women-specific Luv models, while the men’s Recon features four different densities of plastic—from lightweight to stiff, depending on energy transmission. Gear designed for backcountry skiing and freeride touring continues on an uphill trajectory as demonstrated by new freeride bindings (DIN certified for alpine turns with touring mobility) and lightweight skis and boots. Trends show skiers looking for one setup to fulfill all of their off-piste needs, and next season’s lightweight yet versatile new additions address those needs. Manufacturers are also focusing on safety for their customers as they venture out of bounds. “As we make more and more gear and innovate more ways to take you deeper into the backcountry, it’s our responsibility to make sure people ‘know before they go’ and partner with backcountry professionals to help educate people,” says Jed Duke, director of product for Blizzard and Tecnica. • Along with updating lightweight ski models, Blizzard introduces a pilot program called BRASS, an educational series designed to increase avalanche awareness for ski racers. 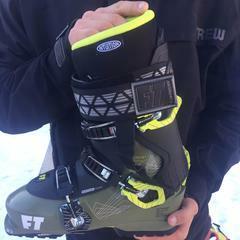 • To address the grey area of alpine and touring incompatibility issues, Salomon and Atomic introduce the new Shift binding, with both an alpine and touring-compatible rating so it can be skied with alpine or touring boots. "Shop current" links associated with OnTheSnow's trusted affiliate partners, evo.com and Backcountry.com.